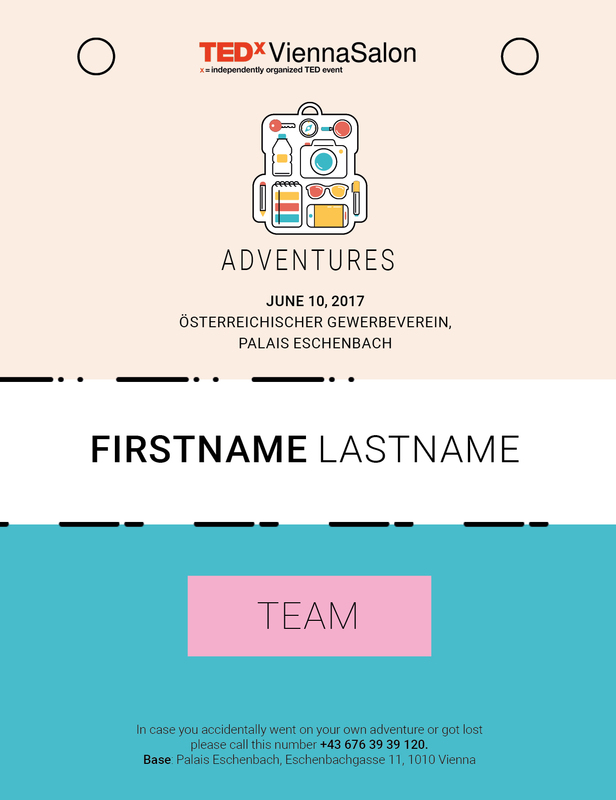 Concept, Design, Print. 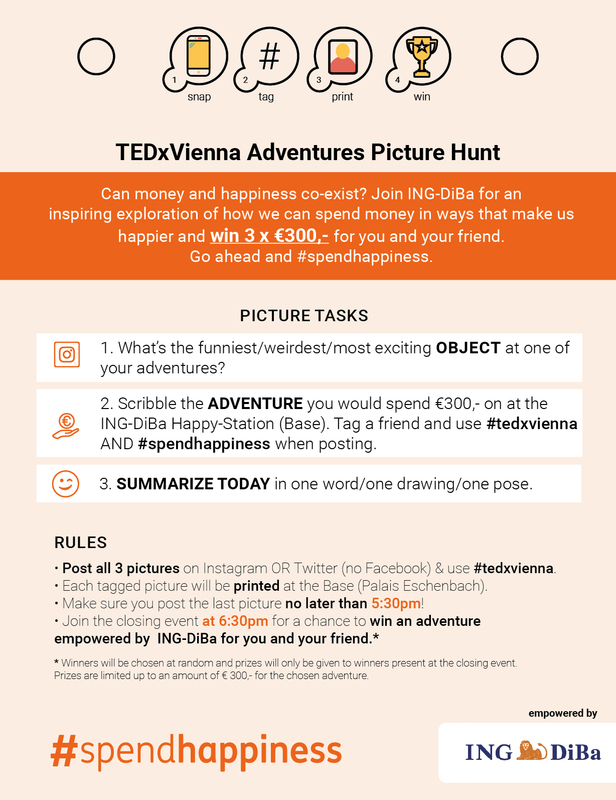 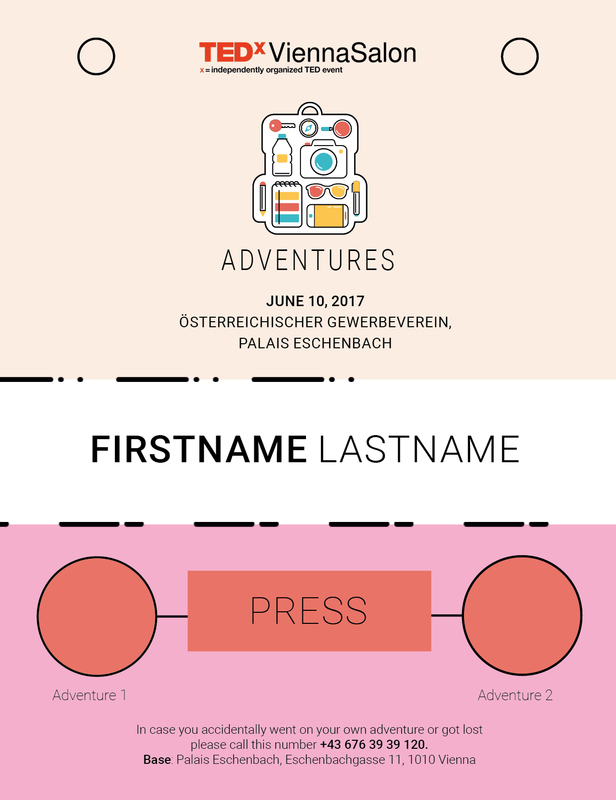 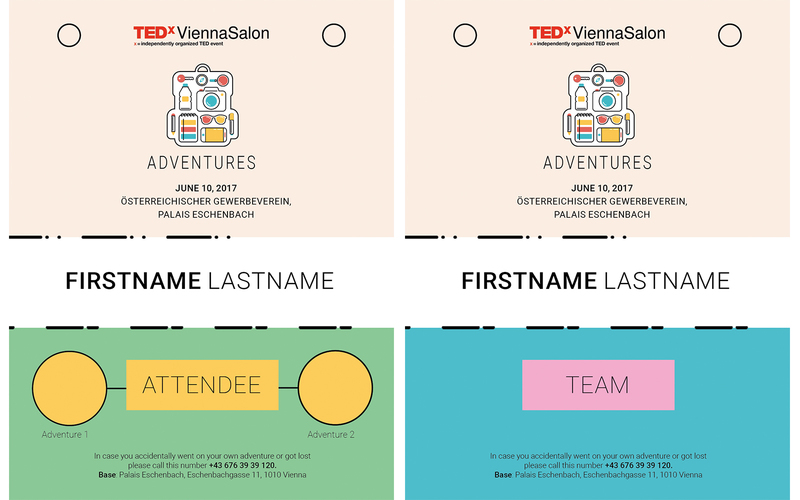 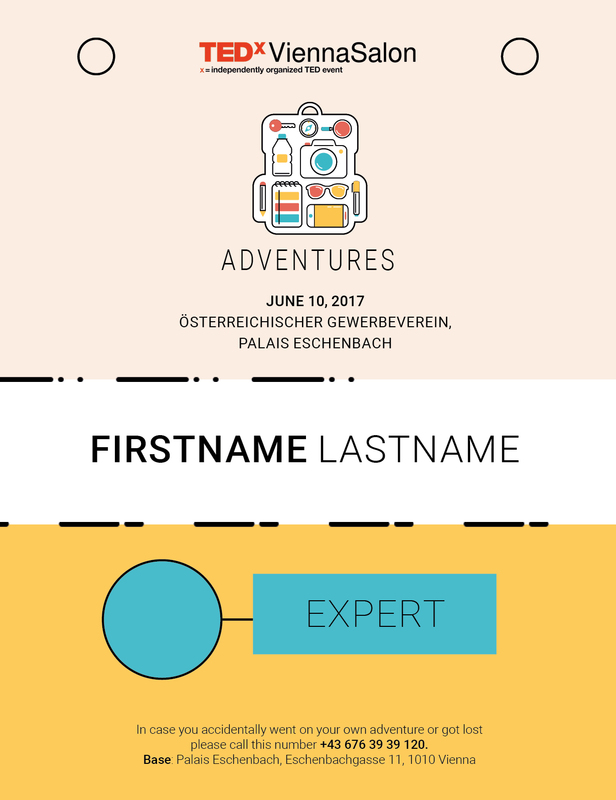 I’ve created these badges for the new format of the TEDxVienna event „Adventures“, where attendees experience two activities they have never tried before in Vienna. The badges should cover all event roles and help attendees not to get lost during their „adventures“ through Vienna.